The iPad 2's major upgrade is a white casing. When the iPad came out, lots of people were very excited, including a certain Mr. Herman, Mr. Pee-wee Herman. And that wasn’t even a long-awaited launch like that of the iPad 2! The iPad 2 is a big deal, and the debut numbers prove that without a doubt. 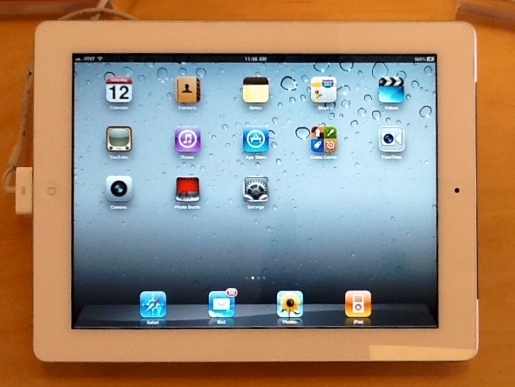 According to sources, the Apple iPad 2 sold up to 500,000 units during its debut weekend. No matter where you went this weekend, you weren’t finding an iPad according to experts. Best Buy, Target, Apple? Gone, gone, gone. Considering they’ve been producing iPads for months now, that’s incredible. You have to wonder when the market for the iPad (and tablet computers in general) is going to collapse; apparently, that won’t be any time soon. Even the iPad 2, which merely got slightly faster and added a couple of borderline-useless cameras, is the hottest thing around. Staggering. Kudos to Apple, but the fact that they’re just able to mildly update something and sell half-a-million of them is amazing. It’s not even an impressive update, yet here we are.